For people at high risk, PCSK9 inhibitors may prevent heart attacks and save lives. But gaining access to these pricey drugs remains a challenge. Three years ago, the FDA approved two drugs that lower harmful LDL cholesterol values dramatically — by more than 50%. The drugs, alirocumab (Praluent) and evolocumab (Repatha), belong to a new category of medications known as PCSK9 inhibitors. Both are given by a self-administered injection once or twice a month. They're intended for people whose cholesterol levels remain stubbornly high, despite making lifestyle changes (such as diet and exercise) and taking the maximum dose of a high-potency statin and other cholesterol-lowering drugs. In the past two years, results from two large studies found that both PCSK9 inhibitors lowered the risk of serious heart-related events such as heart attack and stroke by 15%. "Now we know that this class of drugs will prevent cardiovascular events, and in some settings, lower the risk of dying," says cardiologist Dr. Christopher Cannon, professor of medicine at Harvard Medical School. Results from the recent alirocumab study, known as the ODYSSEY Outcomes trial, were especially encouraging, he noted. Researchers followed nearly 19,000 people with a recent heart attack or unstable angina (worsening chest pain, often at rest, that required hospitalization) who were already taking maximal doses of statins. They took alirocumab or a placebo for an average of nearly three years. Among those whose LDL cholesterol levels started out at 100 milligrams per deciliter (mg/dL) or higher, alirocumab cut deaths by 29% compared with the placebo. Doctors encourage heart attack survivors to strive for an LDL of 70 mg/dL or lower; in this study, the average LDL values for those taking alirocumab were 40 to 50 mg/dL. But to date, the high price of these potent drugs has limited their use. The wholesale cost of a year's supply of one of these drugs is about $14,500, although pharmacy benefit managers (middlemen companies that negotiate prices with drug companies on behalf of employers and insurers) pay about 30% less. To help contain costs, these companies require doctors to document that each patient is an appropriate candidate for a PCSK9 inhibitor. 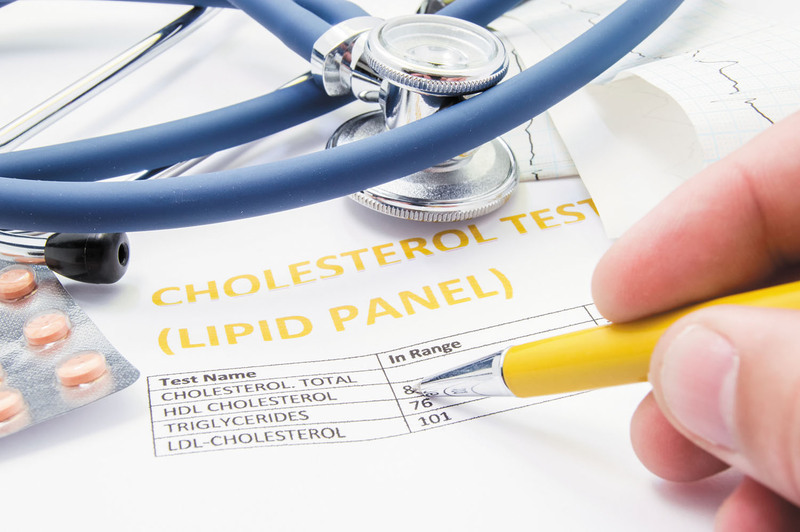 That designation includes people with an inherited form of very high cholesterol (familial hypercholesterolemia) and those with atherosclerotic heart disease and an LDL level of 70 mg/dL or higher, despite taking different high-dose statins. "If someone has had trouble with statins in the past, we have to provide the dose, the dates, and the person's response to at least two and sometimes three different statins," Dr. Cannon explains. The person also must have tried adding the cholesterol-lowering drug ezetimibe (Zetia). Even with that evidence, about two-thirds of the requests for PCSK9 inhibitors are denied. For the remaining third that are approved, the out-of-pocket copay is often at least $300 per month, says Dr. Cannon. Sanofi-Regeneron (which makes alirocumab) and Amgen (which makes evolucumab) also offer payment-assistance programs. But many people with Medicare and other health insurance plans often can't take advantage of such programs. "Recently, I filled out a six-page form to get one of the companies to help pay for the drug for one of my patients because she couldn't afford the $700 monthly copay," says Dr. Cannon. "We are waiting to see if they can help." However, Sanofi-Regeneron recently announced that it would lower the wholesale price of alirocumab to less than $8,000 a year, a figure an outside group deemed to be cost-effective. But there was a condition: pharmacy benefit managers would be required to grant appropriate access to alirocumab to eligible patients. This potential pricing structure change could mean more people will be able to afford these drugs in the future, says Dr. Cannon. The ODYSSEY Outcomes results also reaffirmed the importance of lowering LDL for preventing repeat heart attacks. In addition, it's a good reminder to people with worrisomely high LDL values who have not had a heart attack to pay close attention to their cholesterol, Dr. Cannon says. And if you're in that smaller, high-risk group of people who are good candidates for a PCSK9 inhibitor, being proactive can make a difference. "We found that if a patient gets directly involved in arguing with the pharmacy benefit manager and challenging the denial, that's often more successful than the doctor alone," says Dr. Cannon.